It’ll come to no surprise to most that the average person has about 2-3 credit cards at their disposal. Credit Cards are fantastic not just for payments, but also for additional deals. But with so many competing credit cards with increasingly complex offerings, how will you figure out what deals you can get? And once you’ve done all the research and have the cards in your hands, how do you keep track of what deals you have access to? This app may just help you out. Cardable, which is available on iOS and Android, allows you to keep inventory to the credit cards you have, and use geotagging to find the nearest deals to you. The app has an inventory of cards, credit cards, and membership cards, that you can choose from in the Manage Cards section. This will help to push the relevant deals to the top of the app when you search through the many categories available like Dining, Shopping, Entertainment, and Travel. A built-in function will help narrow these searches according to either Ranking (to find out what the best deals for your cards are) or Location, and even make specific choices for anything you’re looking for. 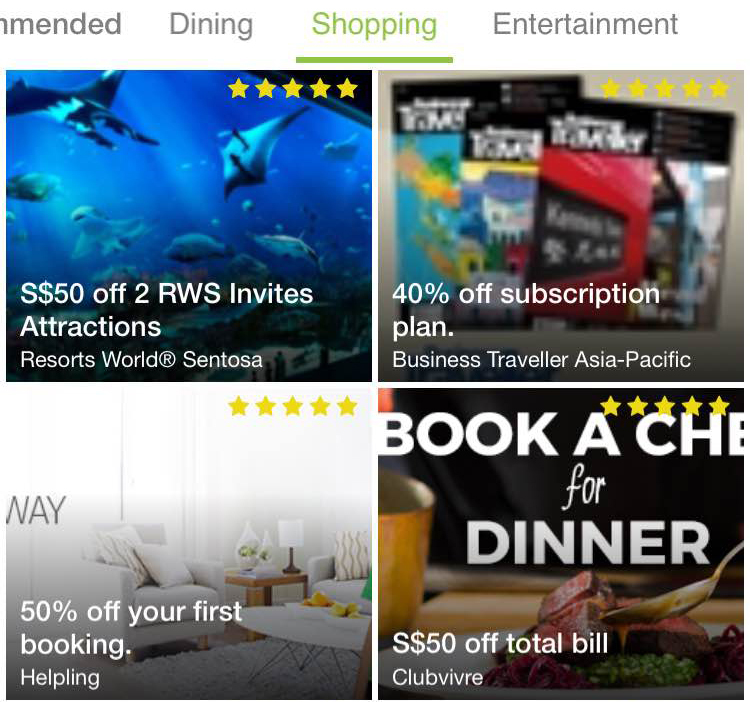 For example, I decided to see what the best online deals I can get for my cards, and found out that I can get S$50 off 2 RWS Invites Attractions, and 50% off my first booking on Helpling. If you’re looking for the best deals available to any card, the Recommended section will give you a quick overview of what you could be getting, and maybe help you choose which card to pick next. 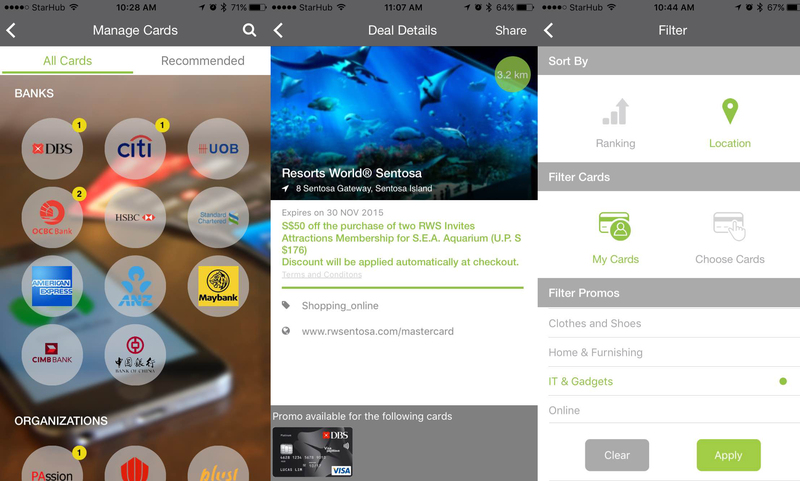 Cardable definitely gives an edge over banks’ deal-related apps, simply because it consolidates inter-bank information to reflect exactly how credit card users actually choose credit cards in real life, even integrating other cards like the PAssion card, SAFRA card, and NTUC PLUS, which all have a wealth of deals that people just aren’t aware of. The app itself is intuitive and easy to navigate, but admittedly the collating of deals in the app itself isn’t complete, though it is extensive. I was surprised to see that the Watson’s card wasn’t included, though it provides surprising deals from food places like Yoguru and Skinny Pizza to activities iFly and Wavehouse. There were also times when I see a deal I like, but realise that it’s not available to the cards I own. It’s hard to determine if it was a glitch or deliberate advertising. 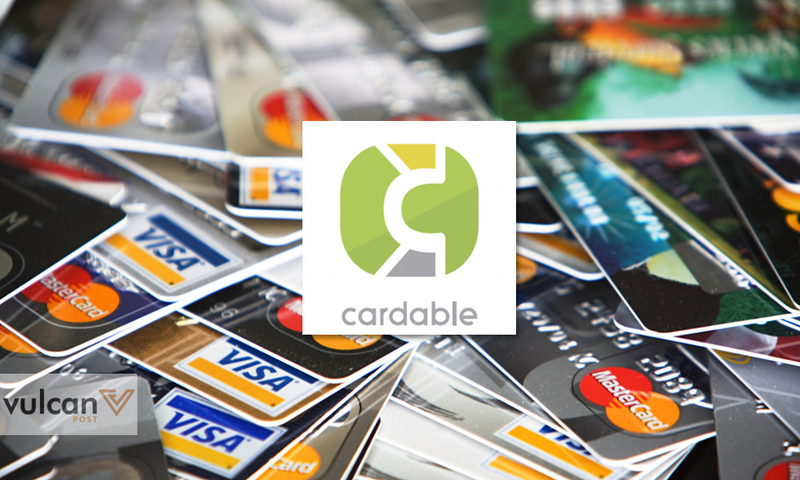 Ultimately, Cardable is a decent app that serves a very real need. It gives us a platform that serves our actual card-using behaviours, and provides us easy deals that doesn’t require us to jump through hoops to get (after all, we already own the cards). The “glitch” that places deals that I can’t use does give some unwanted disruption to my otherwise pleasant deal-searching quest, but if you’re open to being prompted to get a new card now and then, it’s a must-have for any smartphone.